— A GROWING PUBLIC ART project that gives voice to the lakes and inspires our communities to care for and protect them. 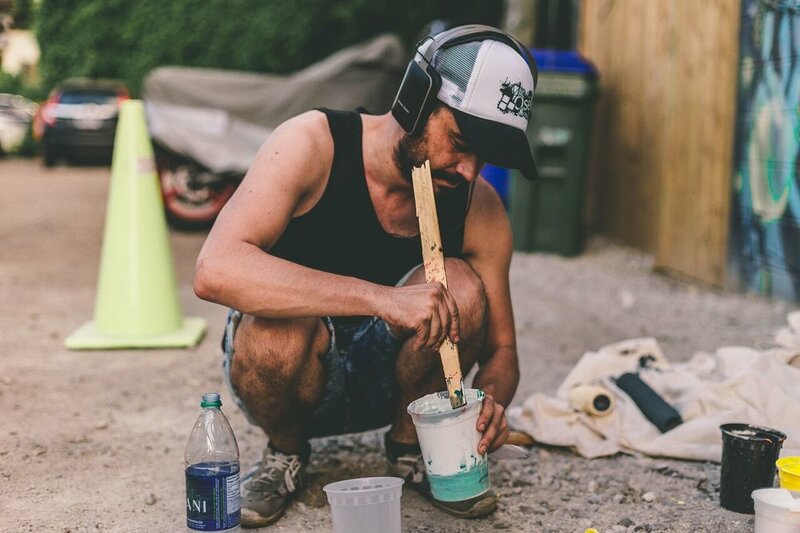 The Love Letter Projects is a collective of contemporary creatives in Canada inspired to use art engagement to bring awareness and spark positive action toward fresh water protection. 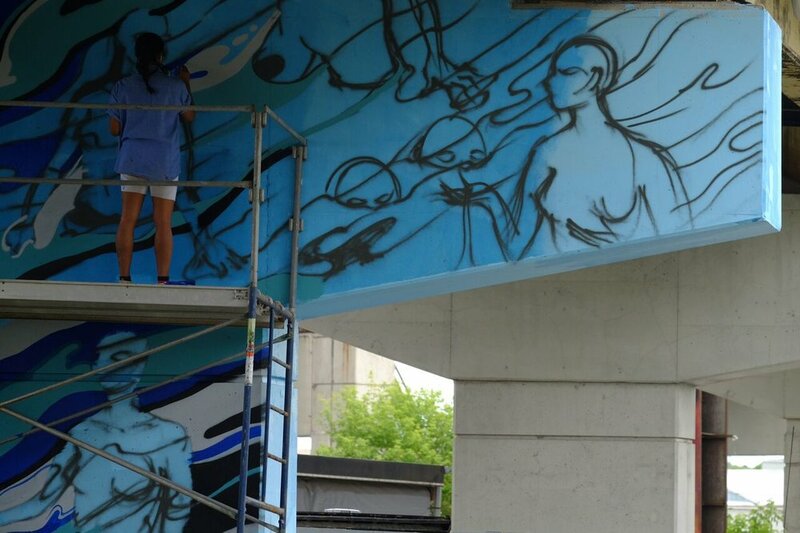 In 2017 our team was thrilled to collaborate again with Friends of the Pan Am Path completing a mural on a 60ft bent at Toronto's Bentway. 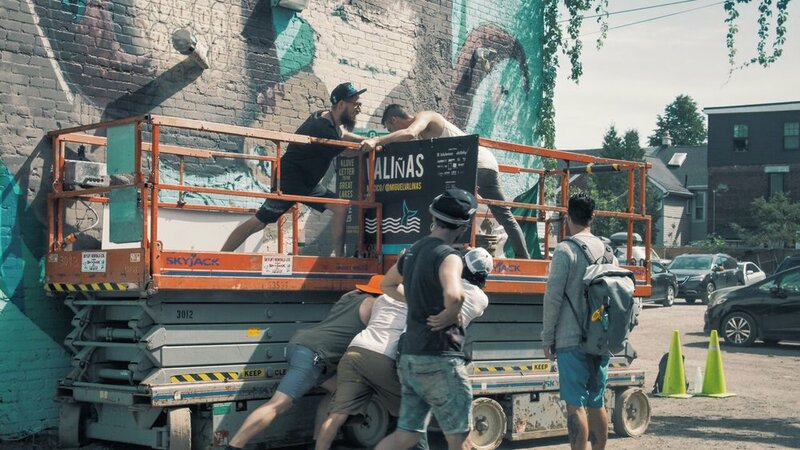 In 2016 the Love Letter Projects Canadian team collaborated with PangeaSeed Foundation for the very first international fresh water edition of "Sea Walls: Artists for Oceans” in Toronto, called a ‘Love Letter to the Great Lakes'. This festival was unprecedented in size bringing 10 international artists from as far away as New Zealand and Hong Kong with 10 local star artists. Our ongoing objective is to beautify neighbourhoods, galvanize communities, and most importantly, stimulate a broader public awareness of the critical issues facing this breath-taking and unique natural water resource. The Great Lakes system contains a staggering 95% of North America’s surface freshwater and provides life to 35 million people. With each Love Letter to the Great Lakes we bring a reason to care about the Lakes to each heart and mind we touch through meaningful, artful solutions. A picture is worth far more than a thousand words. We believe that an explosion of creativity, art, and design can transcend cultural and linguistic boundaries, inspiring positive global change. PangeaSeed Foundation and the Love Letter Projects team collaborate with today’s most influential creative minds to help give large bodies of water the voice they so desperately need.